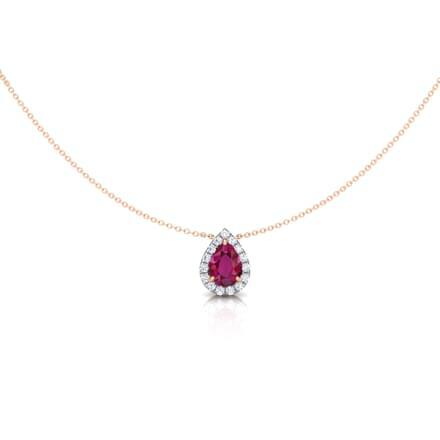 Gemstone Necklaces have gained love and attention of women since history dates back. 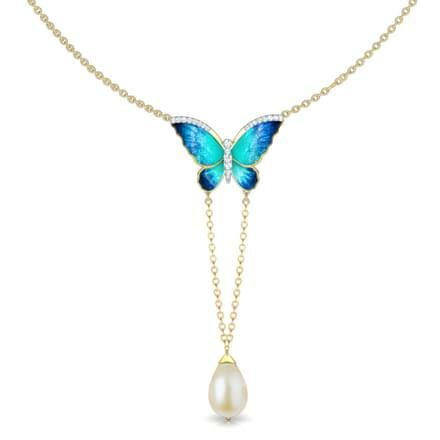 The magnificence of gemstone necklaces is boundless. 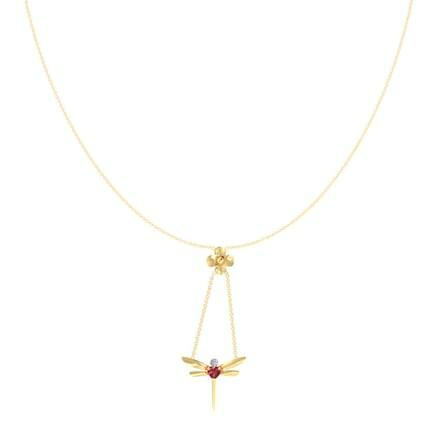 While CaratLane has curated designs for women, it also offers gemstone necklaces for kids. A necklace that defines your personality can be achieved easily by colourful gemstone necklaces. 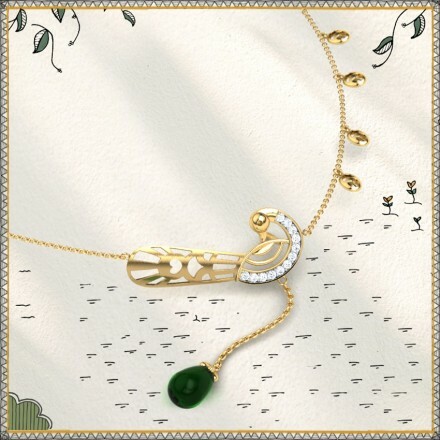 Buy online the best and latest patterns of gemstone necklaces available in India from CaratLane. 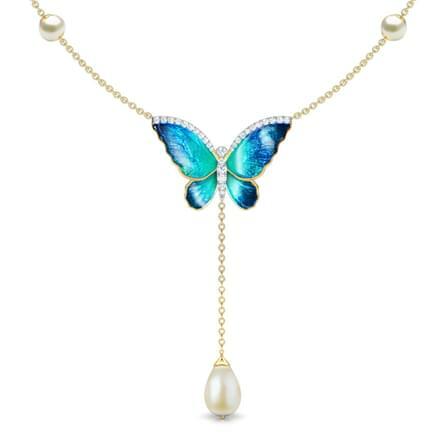 Choose from stunning Sapphire Necklaces, Ruby Necklaces, Pearl Necklaces and an endless list of many more. 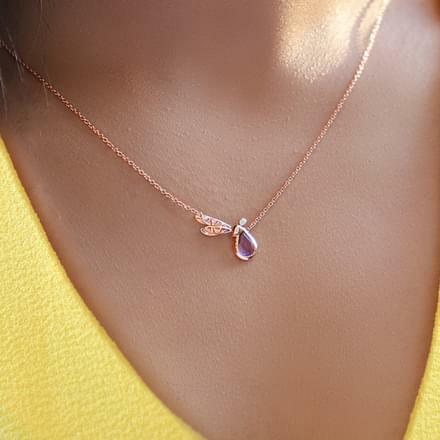 With more than 150 unique designs, CaratLane boasts of a vast collection of stylish gemstone necklaces. 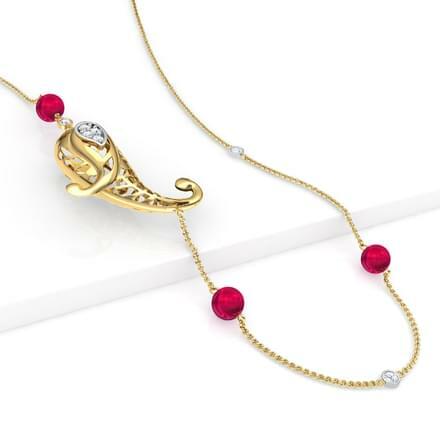 The price range of the gemstone necklaces varies from Rs. 10,000 to Rs. 2,50,000, which are set in white gold, yellow gold and rose gold. CaratLane has created the Dainty Crown Diamond Necklace for kids, a charming necklace design. 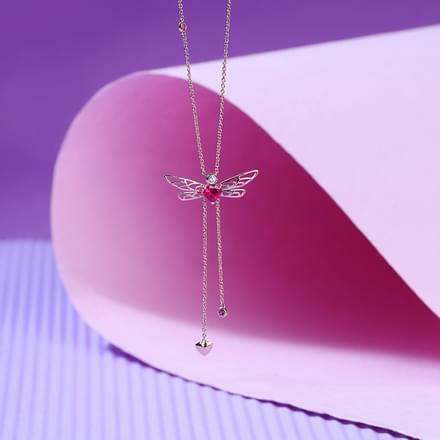 The collection has designs based on classic, contemporary, designer, fashion, floral, heart, religious, traditional, essentials, butterfly and cut out themes. 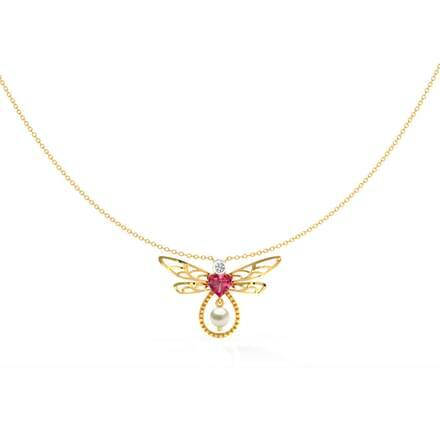 You can flaunt the most fashionable gemstone necklaces as wedding wear, evening wear, work wear and desk to dinner. 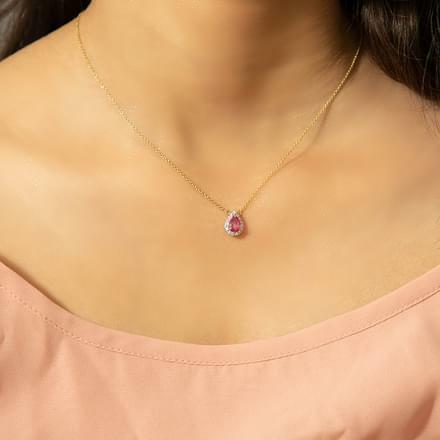 Check out the Contemporary themed gemstone necklaces for women by CaratLAne! Layered gemstone necklaces are a beautiful sight to behold. 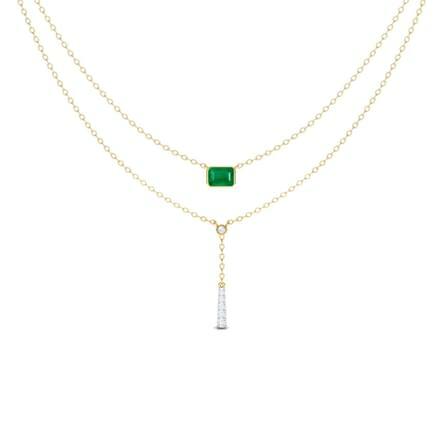 Try the Multi-layered Amara Intricate Tassel Necklace or the Kylie Layered Necklace, set in 18 Kt Yellow Gold with diamonds. 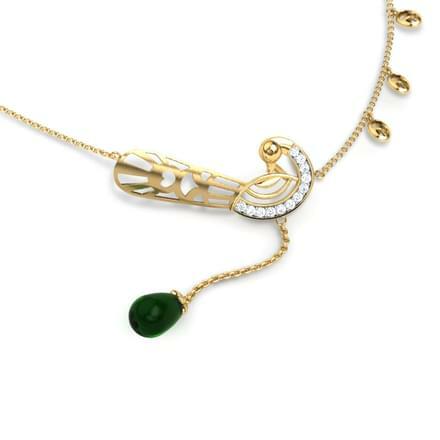 Flaunt the magnificent beauty of emeralds and diamonds with the Quad and Cluster Necklace and Pear Clump Necklace, set in 18 Kt Yellow Gold. 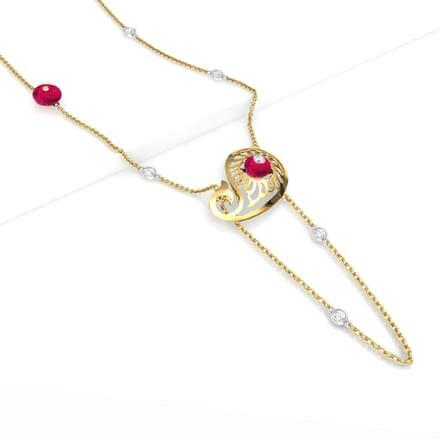 The Cydney Blush Necklace from the Ornati by Farah Khan collection is another diamonds and rubies studded necklace, a true beauty in red. 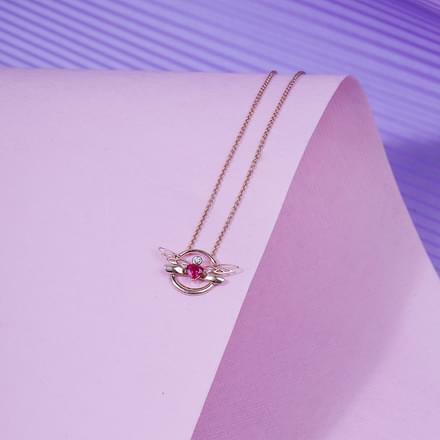 Traditional designs of gemstone necklaces are everyone's favourites. 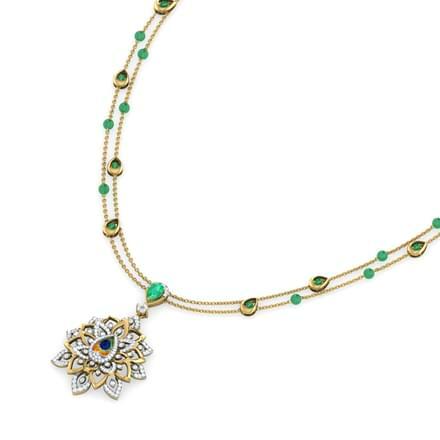 The Jaipur collection by CaratLane hosts some of the most stunning designs of gemstone necklaces. Check out the Sheesh Fresco Necklace or the Amer Fresco Necklace for the perfect royal look. 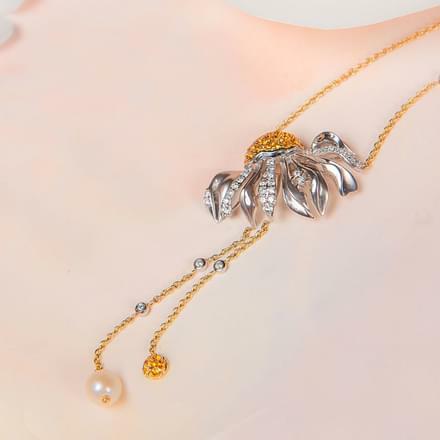 The Leafy Necklace is another sleek pattern of a traditional gemstone necklace for women, which glimmers with diamonds. 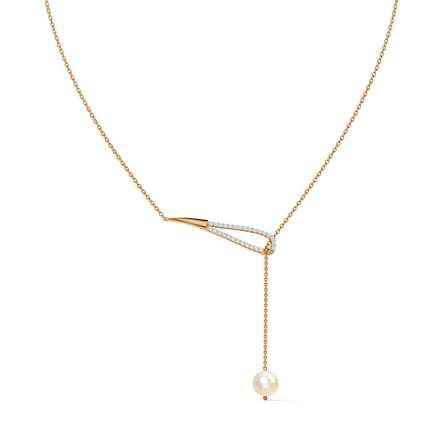 Everyday wear necklaces are an essential wear for women and gemstone necklaces make for great casual wear. 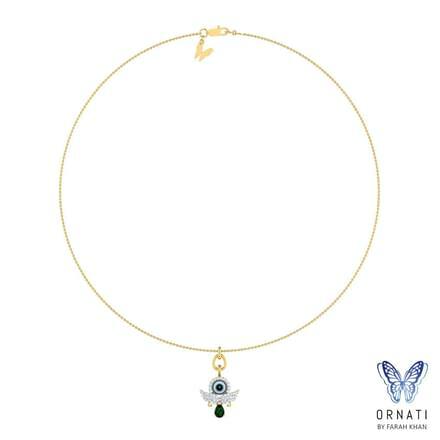 The Gloda Sparkle Necklace or the Gail Peace Necklace from the Ornati by Farah Khan collection by CaratLane adorned with an evil eye are appealing ornaments. 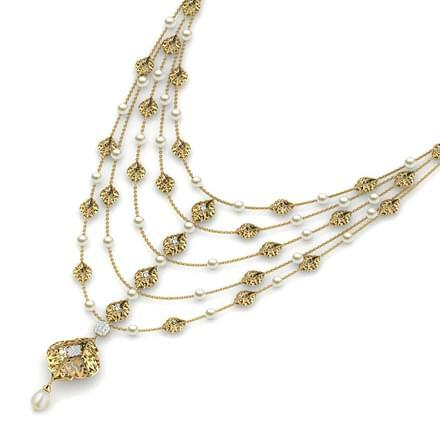 The Orb and Pearl Necklace with diamonds is another stunner in the collection of gemstone necklaces. Floral patterns and designer gemstone necklaces by CaratLane are must-haves for every woman. 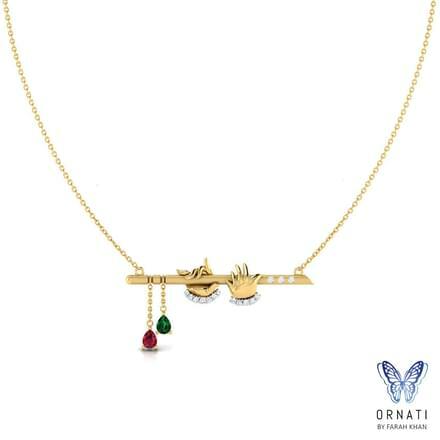 Check out its Ornati by Farah Khan collection! 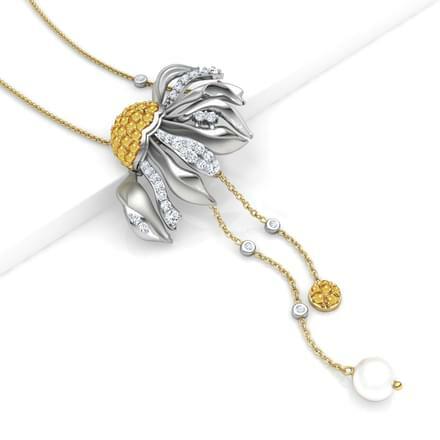 The marvellous Fleta Bloom Necklace from the range is set in 18 Kt White Gold with diamonds. 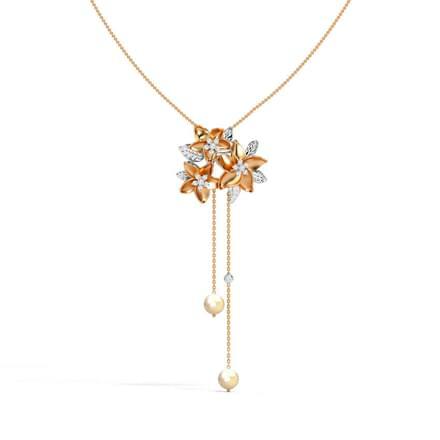 The delicate Iva Blossom Necklace is set in 18 Kt Rose Gold with diamonds. 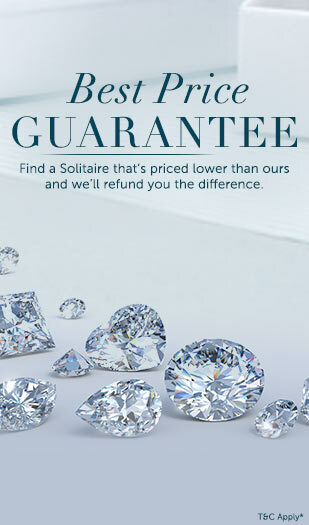 CaratLane promises to deliver the best quality of products at great prices. The online portal has created a hassle-free space for customers to enjoy shopping jewellery. Convenient online payments can be made via net banking, credit or debit cards and online transfers. Customers can utilise its 30-day free returns and lifetime exchanges as well, along with its Try@Home facility.